First, I hope that all of the prayers, well wishes, and charitable thoughts and actions toward the Aurora Colorado community, especially the victims directly affected by the shooting, to come to pass. I wanted to type this up to vent & try to make sense of the recent atrocity that afflicted the Aurora community. Maybe, just maybe this might help someone too. 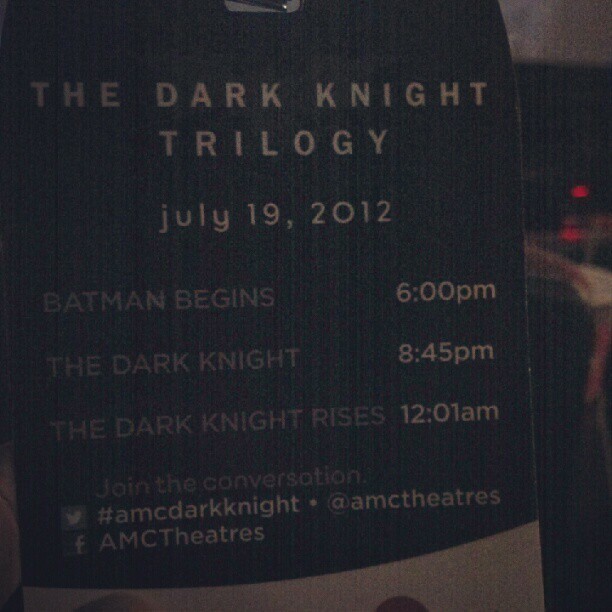 On Thursday, I (like many fans) went to see The Dark Knight Trilogy marathon hosted by AMC with some friends. The atmosphere was brimming with excitement for the release of The Dark Knight Rises. My buddy and I wore Batman t-shirts, along with a majority of the moviegoers that night. In fact, I remember talking to a few fellow fans on line as we were waiting to refill our popcorn bags in between movies. It was then I noticed there seemed to be a sense of community among us. This movie event allowed complete strangers a chance to be friendly & converse with one another (even if for a moment). After the night was over, I felt like I walked away from something really special, almost dreamlike. Unfortunately, the catch about having a great dream is that you eventually have to wake up. But the revelation got worse, “…It could’ve been your friends or family.” As the eyewitnesses described, he shot at random so it really could’ve been anyone of us. It could’ve been a young lady on a night out with her girlfriends, the guy who had popcorn spilled on him by his date, or a young man who spent a lot of time, effort, & courage to watch the movie as a Batman character. When a person dies, while that person moves on, their family, friends & acquaintances are left to sort through the grief and pain of having someone that they cared about leave in a manner so shocking it can get to be unbearable. No one deserves that kind of pain. Certainly everyone is different & has different ways of dealing with stress so the answers will be different for all of us. I’ve found that typing this post has helped me feel a lot better as this has helped me let go of some of the stresses, worries, and concerns I had. While many people will associate The Dark Knight Rises with the recent atrocities, one thing to take away from this is remembering that this was a rare & isolated shooting & that the perpetrator was caught. While I will keep in mind the victims of the shooting, I’m going to remember The Dark Knight for what the movie displays & how it’s presentation made me feel. I’m not going allow this ghastly act caused by this miscreant to forever define this movie. After almost 2 days after being in the shadow of this horrific event, I am hopeful for our future. I’m hopeful because I am noticing this feeling of community once again. However, this feeling of community is much greater than the one felt in the movie theater I saw The Dark Knight Trilogy. This feels more like the belonging to the national community made up of the young & old, the fanboys/girls & standard moviegoers, and the affluent, commoner, & impecunious. A community, whose focus moves from this Dark Knight movie & this tragedy toward helping our neighbors over in Aurora, Colorado move forward by offering donations, prayers, and well wishes. While this tragedy knocked us & worn us down, let this community allow this opportunity to become like Batman; RISE. 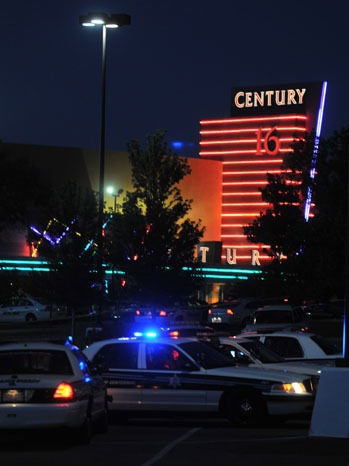 Thanks for taking the time out to read my thoughts on the Aurora Theater Shooting. Consider this the preface to The Dark Knight Rises Review that I will have up. The following links are some informative articles that I found interesting. But if you want to help out those that the shooting has directly affected in Aurora Colorado community, please go to http://www.crowdrise.com/helpaurora/ for more information on how you can donate.